WHAT IS THE BENEFIT OF DIOLAZEXL? Unlike traditional methods (waxing, shaving, bleaching or using depilatory creams), DiolazeXL laser hair removal impacts the root of the problem, rather than offering a temporary solution. Traditional methods will require treatment for ever, while DiolazeXL only requires a few sessions. Most patients immediately notice a significant reduction in hair growth and eventually smooth and hair free skin. 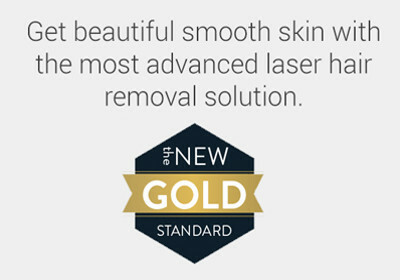 Achieve the smooth and soft skin that you've always wanted with the new champion of laser hair removal. THE ULTIMATE SOLUTION TO GETTING READ OF UNWANTED HAIR! "I was pleasantly surprised with my DiolazeXL results. I went from shaving my underarms everyday to realizing the freedom of hair free skin." DiolazeXL has a built in skin cooling surface which is one of the largest for all hair removal devices. This makes treatment more comfortable than other devices, with most patients noting that DiolazeXL is virtually painless.